Books impart knowledge and imagination from one mind to many other minds. Through books you can go beyond your everyday world and travel to the place written about. It is about discovery and escape. Ah, yes... where would we be without books! Dedicated to love of reading and everything stories... We have been creating bookmarks (the pixee fairee whims and I). Viewing other artist's creative bookmarks only ignites the imagination further. Oh, if only production of art went as fast as the brain imagines! Of course nothing but our best design work will do! 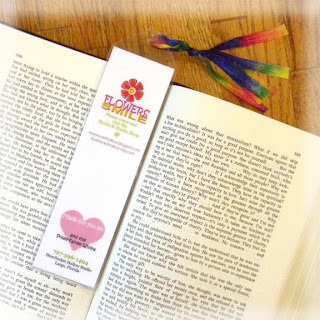 Pictured here you will find the newest tangible results of this journey down bookmark lane. 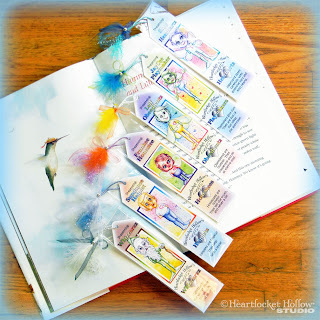 The characters on this series of bookmarks are from the Heartlocket Hollow Stories. 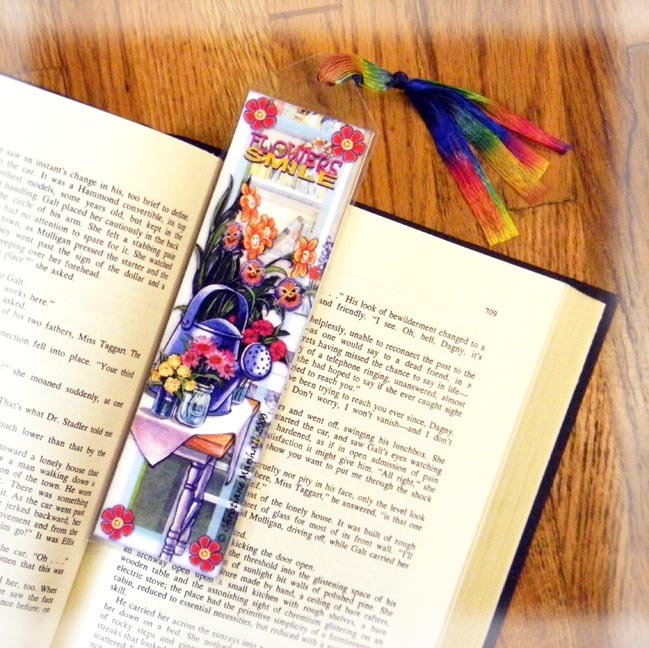 Designed to teach children good behavior traits in a whimsical way, each bookmark features one character. We have had so much fun... is this work? 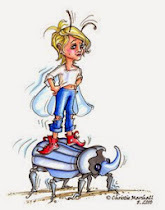 Many other designs and ideas are waiting for their place in the creation process. Check back to see the results! 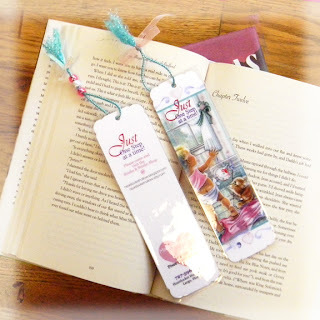 These PixeeFairee Bookmarks are available for purchase! 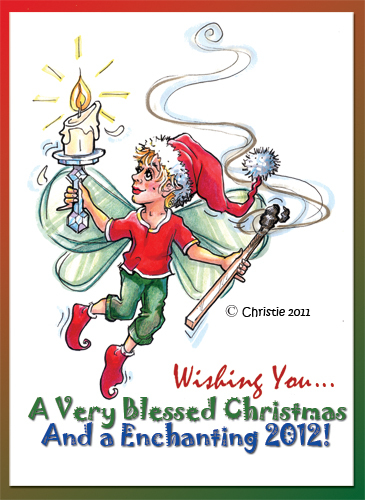 Your way to own a little piece of the Hollow and share with the children in your life the magical fun of reading and learning how to behave! Each is printed with archival ink on photo quality heavy weight matte paper. 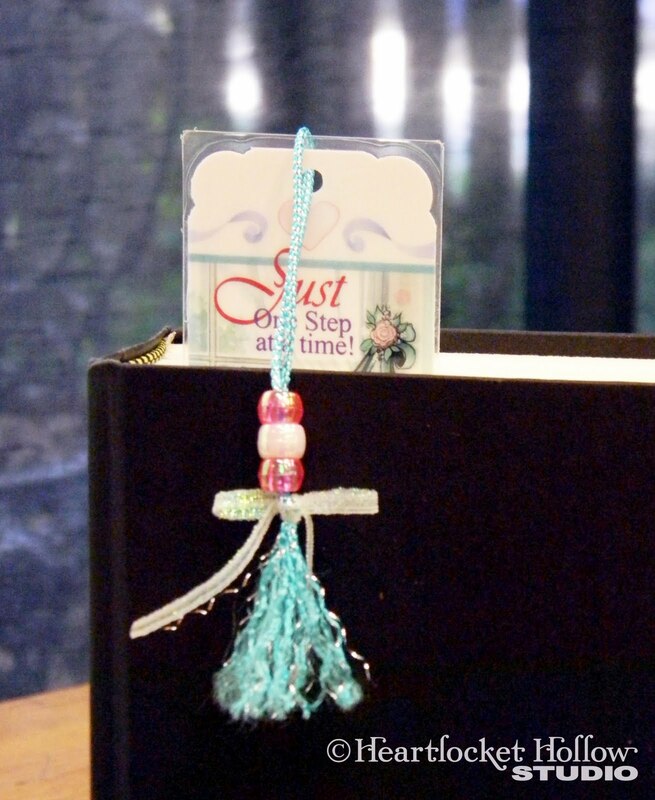 They are available in sets of 3 and all 11 at the Heartlocket Hollow Studio Shop. 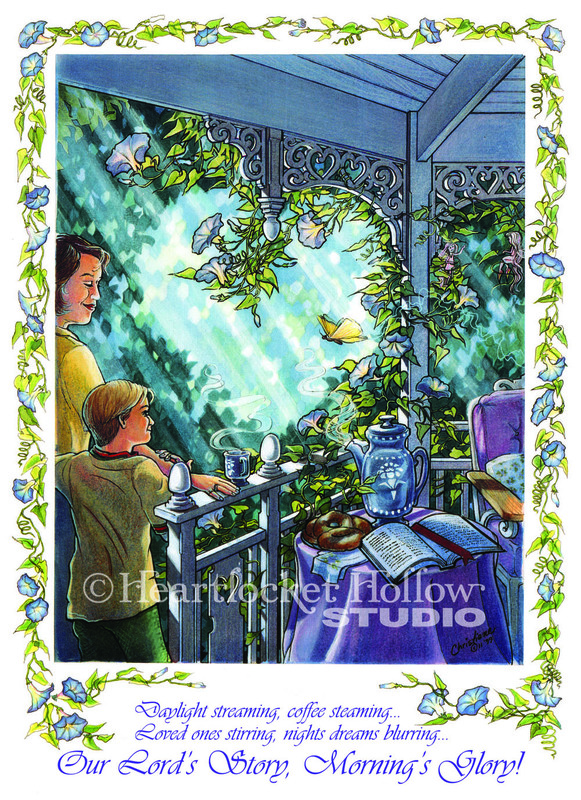 To order visit the Heartlocket Hollow Studio Shop on Etsy or contact the studio by email or telephone. To receive email updates of activity at Heartlocket Hollow... add your email address to "Follow By Email" in the sidebar. If you would like to receive a free surprise by snail mail, place a comment in the comment section and snail mail address - you will receive a free HLH Studio goodie! Each bookmark is packaged in a crystal clear bag and shipped in a protective sleeve inside of a flat sturdy mailer. Colors may vary slightly from what you view on your computer screen due to monitor calibration. The purchase of any Heartlocket Hollow Artwork does not transfer copyright or reproduction rights, purchase is for the actual items only. Closing your eyes, sure you could fly. As if you had wings! Never loose that essence of creative adventure! Lessons learned and possible new adventures. 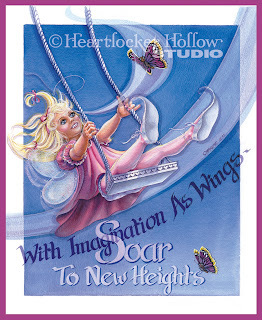 With Imagination As Wings, Soar To New Heights! This illustration is available for purchase as an open edition print. Each print is printed with archival ink on photo quality heavy weight archival matte paper. They are not matted or framed. 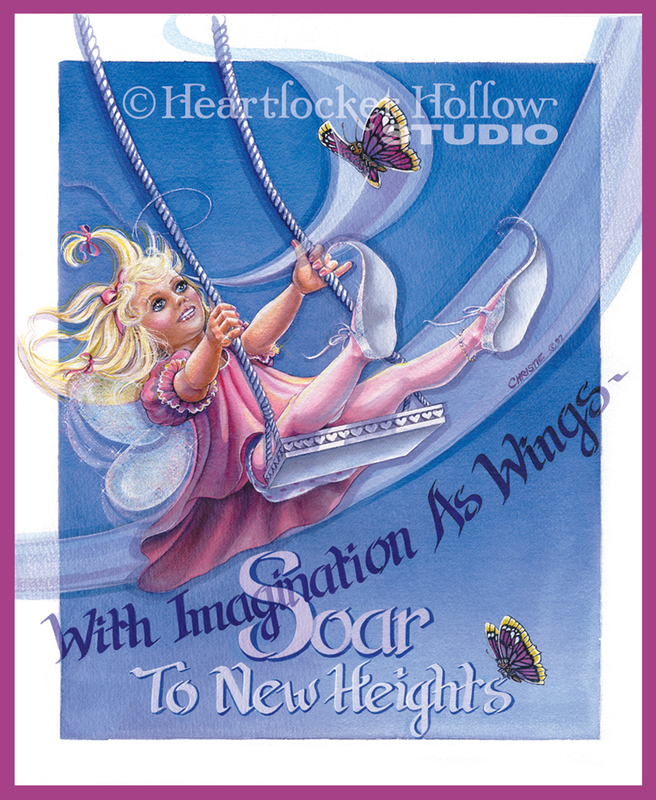 They are available in 11x14 or 16x20; and can be embellished by the artist with fairy dust and glitter if desired. 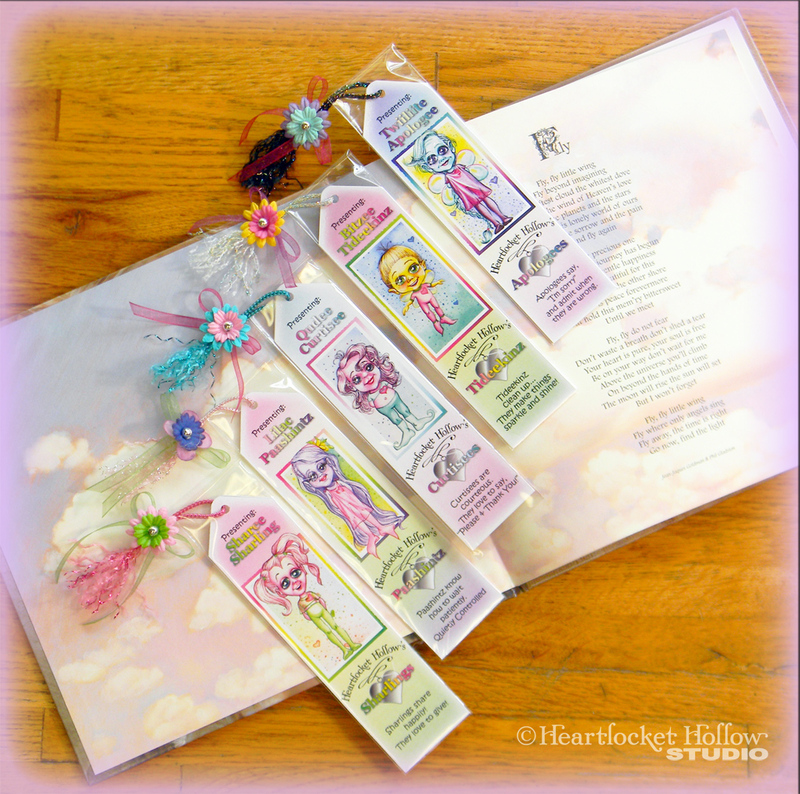 To order visit the Heartlocket Hollow Studio Shop on Etsy or contact the studio by email or telephone. To receive email updates add your email address to "Follow By Email" in the sidebar. If you would like to receive a free surprise by snail mail, place a comment in the comment section and snail mail address - you will receive a HLH Studio goodie! They have been favorites of mine ever since. to the world are so enchanting. They bloom only one day. is presented for your enjoyment! a new fresh one is presented to us every day! 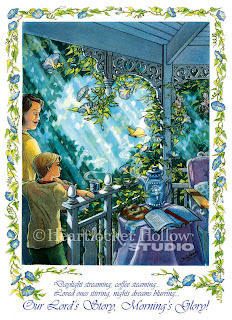 This illustration shows my morning delights. Hey all of you art lovers out there! I am enjoying visiting all of your sites, so much so that I am joining the team of art bloggers. Right now I am in the process of setting up an Etsy Shop! As soon as that is complete, you will see this site completed. Visit me later in June to see the new Heartlocket Hollow Studio Blog!! !